This quote from Thomas Edison applies to most endeavors, including advertising. But some stories of inspiration can help us learn to look at our challenges from a different vantage point and help us think of new solutions. Legendary advertising titan Bill Backer, who died recently on May 13, was at the center of one such story involving arguably the most iconic television spot of all time. 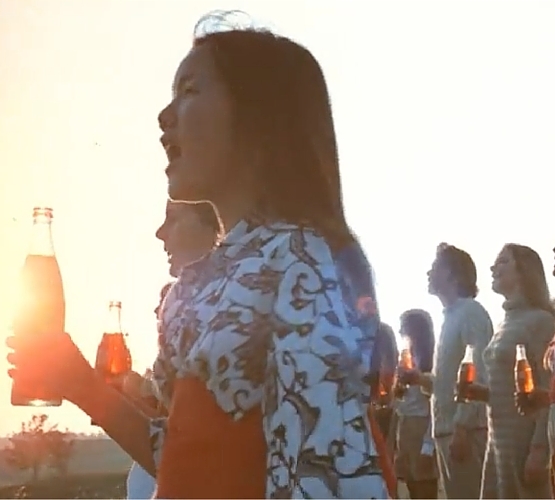 In January 1971, Backer was the creative director overseeing the Coca-Cola account. He was on his way to London to meet with songwriters to discuss a new Coke commercial. Weather caused his flight to be diverted to Ireland, and the passengers had to deplane. The next morning, Backer was stunned to see his fellow travelers—who just the night before had been angry— cheerfully conversing in the coffee shop. "People from all over the world, forced by circumstance, were having a Coke—or a cup of coffee or tea—together," he wrote. "They were making eye contact over a Coke, and they were keeping each other company." He added, "That was the basic idea: to see Coke not as it was originally designed to be—a liquid refresher—but as a tiny bit of commonality between all peoples." By the time he arrived in London, he recalled, "I could see and hear a song that treated the whole world as if it were a person—a person the singer would like to help and get to know. I’m not sure how the lyric should start, but I know the last line." On a paper napkin, he had scribbled, "I'd like to buy the world a Coke and keep it company." The other two songwriters concurred on the lyrics, a song was created, and a vocal group recorded it. Coca-Cola's president thought it was too sappy, Coke bottlers hated it, and it failed on American radio. The moment of inspiration had occurred, and now perspiration was required. Backer persuaded the company to try a commercial format instead. A young art director envisioned a diverse chorus in native outfits lip-syncing the song and a near-record $250,000 was approved for production. A cast rehearsed at the white cliffs of Dover, but after a three-day downpour, production was shifted to a hillside outside Rome. A new cast was recruited, and the "Hilltop" commercial was recorded. Soon, "I'd Like to Teach the World to Sing (In Perfect Harmony)" was on everyone's lips. The commercial was an instant success, Backer said, because "it's not phony. The product itself is a product that brings people together." Inspiration is uplifting, but without perspiration, this story could have ended very differently. Bill Backer will be remembered as one of the great admen because he believed in following through with both.